Finding wording examples for your homemade 40th birthday invitations doesn't need to be difficult. Writing your own verse would be fantastic and would add a touch of flair to your invites. It really isn't that hard to do. Think of some words to describe the birthday guest and use these to create a short rhyming verse. Let your ideas flow and jot them down as they come to you. You can edit and pick your best lines when you have a few. To start you off we have a few suggestions that may get your creative juices flowing. 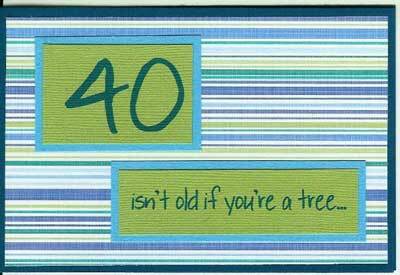 Of course you can't go past the classic "Life begins at forty"
Holy Moly, Guess who's 40! To come rock with me, Lets celebrate! Be at the house by 5.45 p.m. Sharp! Don't give it away, it's a SECRET!